Offering great style and comfort all day long, this solid tube bra from Candyskin is an excellent pick for everyday wear. This underwired padded bra with perfect coverage is crafted to give you the support you need. Made from nylon elastane fabric, it will keep you comfortable throughout the day. 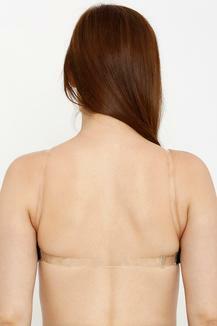 Get yourself an effortless, elegant shape that disappears under everything with this tube bra. This bra is perfect for everyday wear.